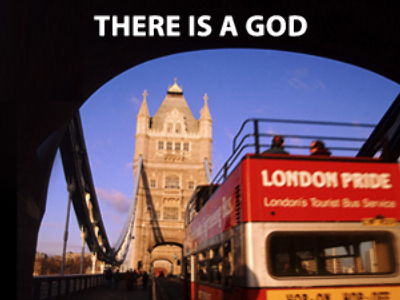 The campaign starts on March 9 and is a response to the atheist campaign launched in London in October last year, when buses with adverts ‘There's probably no God. Now stop worrying and enjoy your life’ appeared on the streets of the British capital. It was initiated by writer Ariane Sherine, who said they are providing a reassuring counter-message to religious slogans threatening non-Christians with hell and damnation. “We are now witnessing tough times. People are constantly reminded of the crisis. So it’s important to hear something optimistic that gives hope,” said Korobko, explaining the reason behind the project. In addition to the slogan, the buses will also carry photos of the Holy Trinity-St. Sergius Lavra – one of the sacred places for Orthodox Christians situated not far from Moscow.